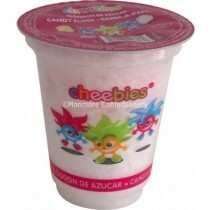 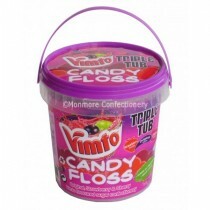 Candy Floss is a tasty sugar based treat that is made by heated sugar that is spun until it resembles a thread like material, you can get this wholesale sweet in a whole host of flavours from strawberry to Bubble-gum. 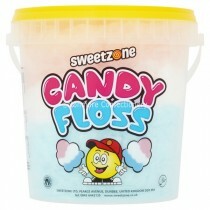 Candy floss is such an iconic sweet with people purchasing it at fairs and theme parks for the last 100+ years and the sense of nostalgia you get when you try it again for the first time in years is unrivalled. 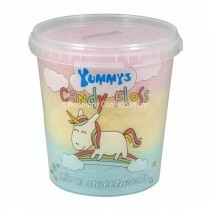 This popular confectionery product is enjoyed by kids and adults alike. 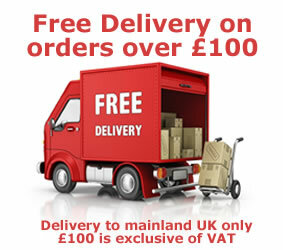 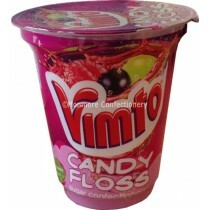 Our candy floss products include tasty Vimto and Cheebies flavour that is sure to get your taste buds going, all of our products are suitable for vegetarians giving more consumers the chance to try one of our tasty sugar treats. 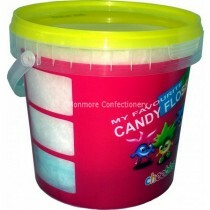 If you are looking for a deliciously whipped candy treat then you have come to the right place with our candy floss flavours coming in two sizes for your convenience. 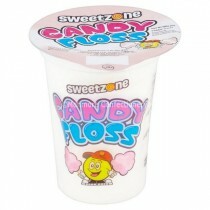 Shop our pre-bagged candyfloss today.